ClickMail sells and customizes enterprise Email Service Provider (ESP) solutions. We deliver platform-specific technology expertise that makes enterprise ESPs perform at their peak. Our clients include e-commerce retailers, online gaming companies, large associations and consumer electronic companies that need advanced email technologies and strategies to drive relevance and ROI. 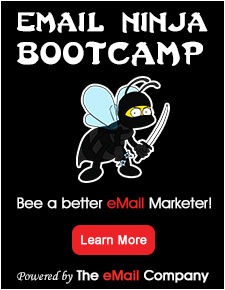 ClickMail is a Platinum ExactTarget Reseller Partner and Blue Hornet Gold Partner. ClickMail is a four-time and current honoree on the Inc. 500|5000 list of the fastest-growing private companies in America. We’re also on the San Jose and San Francisco Business Journal’s Top 100 Fastest-Growing Private Companies. ClickMail is headquartered in San Mateo, CA. Flexibility – We offer flexible contract terms on all of our ESPs. Try before you buy so that you know you’re getting the right system for your needs. Support – Are your volumes less than 250K emails a month? Between 250k to 1M? Over 1M? Regardless of your volume, our support team experts work to your schedule to fulfill your eMarketing needs. Service – Clickmail is there to make sure your messages not only get to the inbox, but continue to support your eMarketing program campaigns to help you achieve maximum ROI. Flexibility. Support. Service. Welcome to the world of ClickMail. This guide to choosing an ESP contains 19 factors you should consider. Use this vendor neutral guide when reviewing potential providers to increase your ability to make the right choice. Because the research is so labor intensive, there is a cost to selecting a top tier ESP. Plus there’s the risk that a less-than-optimal ESP selection will jeopardize your email marketing ROI for the long term. 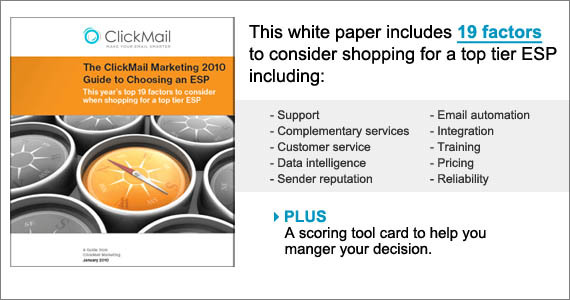 ClickMail can both reduce the time—and therefore cost—of choosing an ESP, and help you make the right choice. 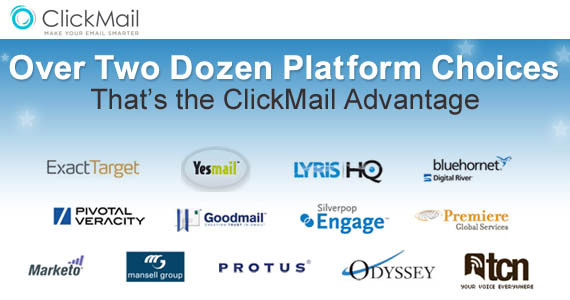 ClickMail is a vendor-neutral ESP reseller. We can act as a consultant to help you put together your RFP, evaluate a short list of ESPs and even give you firsthand knowledge about the strengths and weaknesses of the providers you’re considering. Plus we can set you up with a free trial with a particular ESP, so you can use the platform and see the results before you commit. But despite the prevalence of email, you must be able to integrate your email marketing with the new technologies and trends like social media. The ability to integrate is now a key factor in your ESP choice. When shopping for a new ESP, carefully weigh all of these factors. 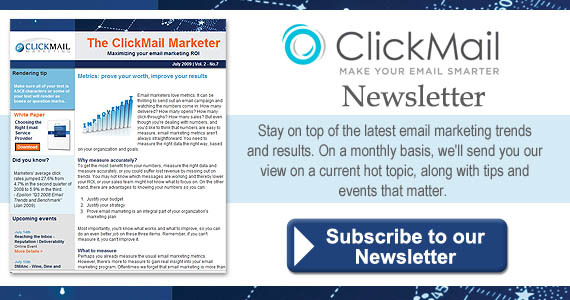 And if you need help, you know where to turn: ClickMail Marketing.